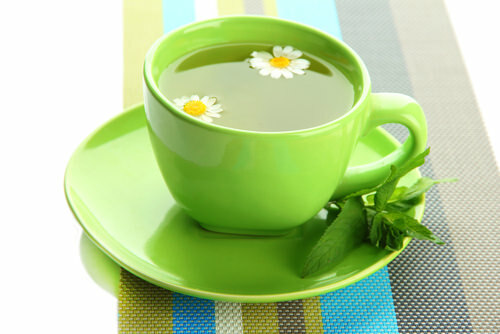 There are many amazing teas that can help you relax and chamomile mint green tea is one of them. It’s easy to make and it tastes great! Give it a try today, you won’t regret. Peel rind from lemons, avoiding pith, place on rack with fresh mint leaves, and let dry 24 hours or until brittle. In bowl, break lemon rind into pieces, add green tea leaves, mint leaves, lavender and chamomile flowers, and spoon into airtight jar or decorative bag.